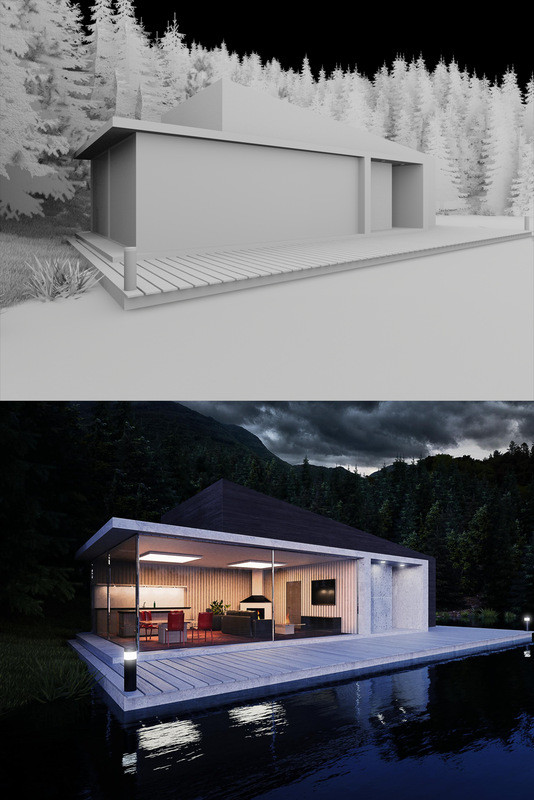 In Blender 3D Architect we are always looking for great examples and artwork related to architectural visualization, made with Blender. And today we have another one of those great pieces of artwork for architecture, created by digital artist Jan Vopicka. 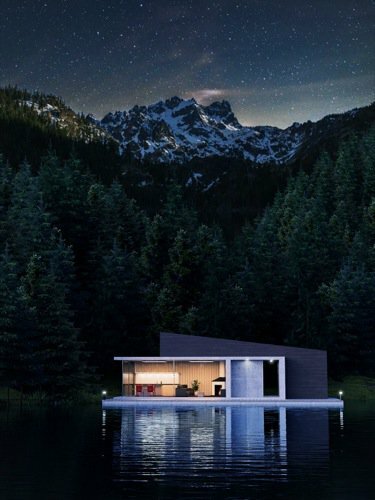 The Cabin by Lake project shows a small residence on a lakeshore, surrounded by a forest. After looking at the project in the BlenderArtists forums, I sent a message to the author and asked him a few questions about the project. He gladly agreed to share some details about the development of Cabin by Lake. If you want to get in touch with the artist and see more of his work, he has a profile in the BlenderArtists forums and Instagram. You can check high-resolution renders at the BlenderArtists post. The project doesn't have any commercial purpose, and the primary objective was to add the images to the artist portfolio. As a reference for style, the artists use the work of Alex Nerovnya. That is where the extensive use of natural elements appears in the project. As for render times and hardware, the artist points that for each image the average render time was about 8 hours. The vertical render from the image set has an original resolution of 2160 x 2880. That was using a single GTX 1050 GPU with Cycles. That was, by the way, the most challenging aspect of the project. Using a relatively low amount of memory in the GTX 1050 (2GB) to render a forest behind the building. To create the forest, he uses a technique from Zacharias Reinhardt that emulates vast forests in Blender. Using the transparency to create the depth effect. 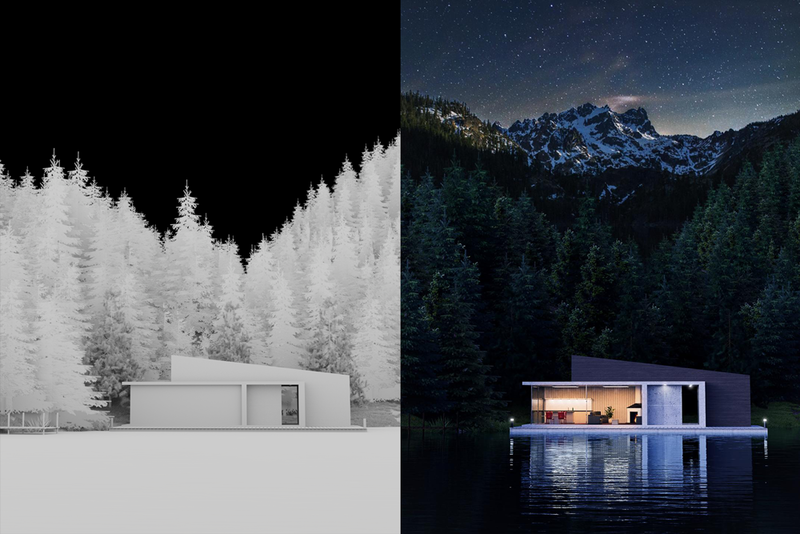 The only parts of the project that uses photos are the mountain and sky. For post-production and composition, the artist uses Photoshop to create all final renders.